With the success of the Marvel-Netflix partnership, and now quantifiable proof to the tune of over a billion dollars that Star Wars can exist and thrive outside of the core Skywalker Saga thanks to Rogue One: A Star Wars Story, fans of the galaxy far, far away are hoping beyond anything else for one thing: A Star Wars live-action TV series. Whenever the subject comes up, fans immediately look to Netflix as a possibility; Lucasfilm and Marvel are sister companies under Disney, after all, and Netflix has shown incredible care in co-producing series like Daredevil, Jessica Jones, and Luke Cage. As far as subject matter, while some fans would like to see the TV series that George Lucas originally conceived of, exploring the underworld of the Star Wars galaxy during the "dark times" era of the height of the Empire, many have brought up the idea of exploring the times of the Old Republic. Introduced to fans in Knights of the Old Republic, the era thousands of years in Star Wars past quickly became a favorite. It was the height of both the Jedi and Sith's powers, with hundreds if not thousands of each running around. The galactic conflicts were not handled as often by fleets and superweapons as they were by feats of Force wielders. One fan has taken matters into her own hands, as Jasmine St-Philippe started a petition to demonstrate the desire for a Netflix-Lucasfilm collaboration on an Old Republic series. Unsurprisingly to Star Wars fans, it's had quite the response, currently sitting at over 140,000 of the required 150,000 signatures. "The Old Republic era is a pivotal point in the Star Wars timeline because that's where everything changed, from the Jedi Civil War and the fall of Revan, the First Jedi Purge, and an omnipresent darkness that not only watched the chaos from afar but also kick-started the downfall," she writes. "Our fanbase would love to see this on Netflix, and I feel that you would enjoy creating and adapting these stories as much as we would enjoy watching them." While petitions like these don't directly lead to a massive multi-million (or even billion) dollar decision like developing and creating an entire TV series, they do put, into writing, a demonstrated following, a true passion from fans who would be putting their support toward something like this. 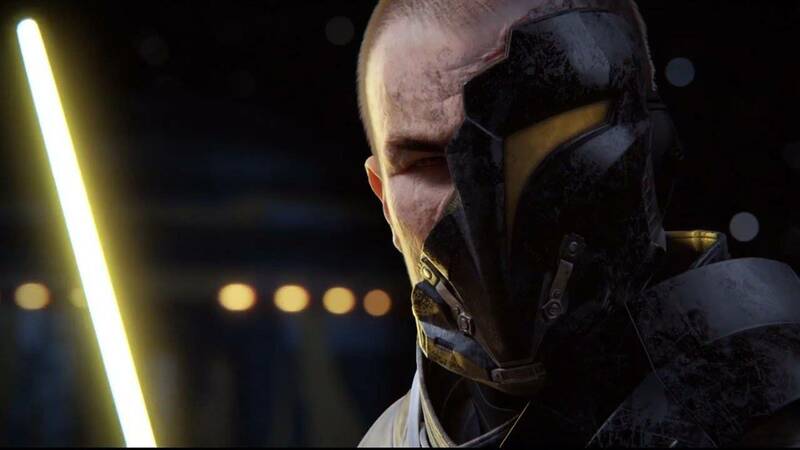 Recently, Star Wars Rebels gave a sizable nod to Old Republic fans, alluding to the Jedi-Mandalorian war (in the game called simply the Mandalorian Wars) that was a major part of the story of that era. So at the very least, Lucasfilm employees definitely still think about - and because they're fans, too - love the story of the era from even longer, longer ago in a galaxy far, far away. Go sign the petition, get it to 150,000 signatures, and maybe we'll at least be one step closer to seeing this fan-favorite era come to life. h/t The Star Wars Hub, who tipped us to this on our fb page. Stay tuned to ComicBook.com for all your geek news needs, and follow @LucasSiegel on twitter for all the latest Star Wars news.